If your inqury is about an order that you placed with us please do not forget to quote your order number . 30-day money-back guarantee for any reason. For 30 days after the date of purchase, return your undamaged LeaderInfogate product and receive a full refund for ANY reason. 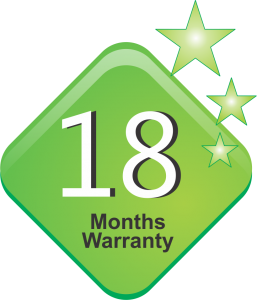 For 18 months after the date of purchase, we take care of all quality-related issues with a REPLACEMENT. Not sure how to get your LeaderInfogate product to work properly? Contact our world-class, friendly support team for quick solutions. Friendly reminder: When contacting us for help, be sure to have your please describe the problem and let us know your order number to avoid delays. Warranty-related shipping costs can only be covered in the country of purchase. If the product is taken outside the country of purchase, any shipping costs will be the buyer’s responsibility. LeaderInfogate warrants for 18 Monthsto the original retail purchaser that the earphones shall be free against defects in materials or workmanship in the earphone external shell or in its earphone internal components for a period specified above, from the date of purchase. If this product proves defective in either material or workmanship, LeaderInfogate, at its option, will (a) repair the product, or (b) replace the product, at no charge for parts or labor. If the product model is no longer available and cannot be repaired effectively or replaced with an identical model, LeaderInfogate at its sole option may replace the unit with a current model of equal or greater value. LeaderInfogate warrants for 18 Months to the original retail purchaser that the headphones shall be free against defects in materials or workmanship. Limitations to this warranty include cosmetic damage, broken hinges, water damage, and battery performance. Shipping the unit in for repair/replacement is the responsibility of the end user. If this product proves defective in either material or workmanship, LeaderInfogate, at its option, will (a) repair the product, or (b) replace the product, at no charge for parts or labor. If the product model is no longer available and cannot be repaired effectively or replaced with an identical model, LeaderInfogate at its sole option may replace the unit with a current model of equal or greater value. This limited warranty does not cover failure of the product resulting from misuse, abuse, accident, neglect, mishandling, or wear from ordinary use or environmental deterioration. Environmental deterioration includes exposure to moisture, extreme heat or cold, and sun damage. This limited warranty does not cover ear tips, accessories, batteries, or headphone cable. This limited warranty does not cover cosmetic damage. This limited warranty does not cover consequential damage to other components. This limited warranty does not cover signal reception problems and failures due to line power surge. This limited warranty is null and void for altered products.